Samuel Beckett was born near Dublin on April 13, 1906. He had an uneventful childhood, and as a young man he studied modern languages at Trinity College, Dublin, graduating in 1927. 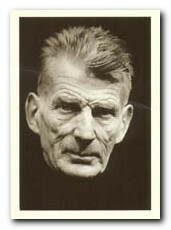 Beckett then spent two years (1928-1930) teaching English at the Ecole Normale Superieure in Paris. After returning to Trinity College for a year of graduate work in 1931, he taught French there in 1931-1932. He spent the next few years wandering in London and through France and Germany, contributing stories and poems to avant-garde periodicals, before settling in Paris in 1937. Finding himself in what at the time was the capital of modernism, he embraced it fully. He had a long-standing affair with the rich art patroness Peggy Guggenheim, and for a short time he worked as secretary to James Joyce, who was also living in Paris at that time. Early in World War II, during the German occupation of France, the Gestapo discovered Beckett’s activities in connection with the French Resistance movement, and he was compelled to flee to the unoccupied zone about 1942. He found sanctuary at Roussillon in the department of Vaucluse. After the war he returned to Paris and began writing in earnest. He was writing novels in the period 1940-50, but later turned to drama. Waiting for Godot brought him international fame after 1952, as translations and productions of the play proliferated throughout the world. However, he continued to lead an utterly secluded life. It is worth noting that he wrote much of his later work in French, and then translated it himself into English. He was awarded the 1969 Nobel Prize in literature and died in Paris on 22 Dec 1989. Beckett’s first novel, Murphy (1938), contains all the elements of his later work: the normal, busy world; someone who cannot come to terms with it; and a language whose low-keyed precision is disturbed by nothing it undertakes to describe, however grotesque or ridiculous. In Beckett’s next novel, Watt (1942-1944), the language remains explicit though the situations become increasingly strange. In the trilogy Molloy, Malone Dies, and The Unnameable (1947-1949), the reader is plunged into a world of terminal exhaustion and tragi-comic desperation where Beckett appears most at home. In Beckett’s world, readers are clearly told everything except the things they are used to knowing. Thus, in Waiting for Godot, which was written in 1948 and published in French in 1952 and in English in 1953, it is clear that two tramps are waiting for Godot, that they return to their rendezvous night after night, that they fill up time with games and dialogues, and that Godot may make an immense difference to their lives. But who Godot may be and what difference he will make is never indicated. Beckett denied that Godot was a symbol for God and that any general scheme of systematic meanings underlay the work. Its mysteriousness is the deliberate instrument of the play’s disturbing power. Endgame, possibly Beckett’s most remarkable single work, appears to be about the end of humanity. His later works include the plays Happy Days (1961), Not I (1973), That Time (1976), Rockaby (1981), and the novel How It Is (1964). These bleak, enigmatic works are unsettlingly funny. Their precision of style and extravagance of conception are hallmarks of a first-class comic writer. Biographical notes, complete bibliography, selected criticism, book reviews, videos, and web links. This is a giant collection of papers, reviews, videos, journals. An old site, but packed with information. It looks very much like a labour of love by an enthusiast. Biograhical notes, manuscripts, mini-essays, a timeline, and illustrations. Adaptations for the cinema and television – in various languages. Some very rare examples of television films of Beckett’s shorter and less well known works. Full technical details of directors, actors, and production. 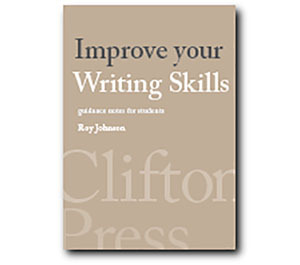 Collection of articles on literary criticism, plus reviews. Life and career, Works, Collaborators, Legacy, Honours and awards, Selected works, Further reading, Web links.